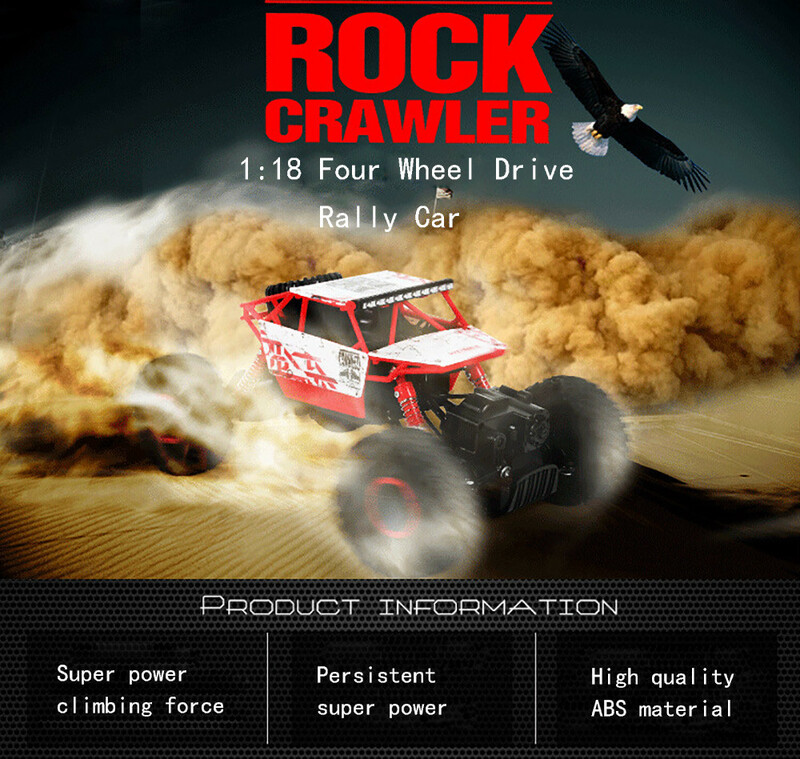 2.4Ghz 1/18 full scale remote radio control rock crawler, a off-road race trunk toy for kids above eight years old. Can perform incredible flip actions: Forward, backward, left turn , right turn, climb. 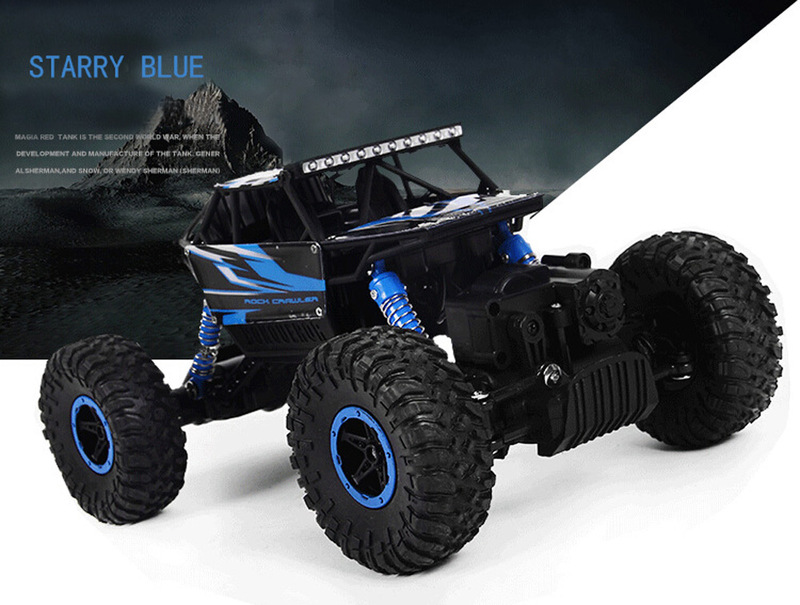 Super strong climbing force, 4 wheel drive and double powerful motors enable it to do stunner stunt, give you real experience. 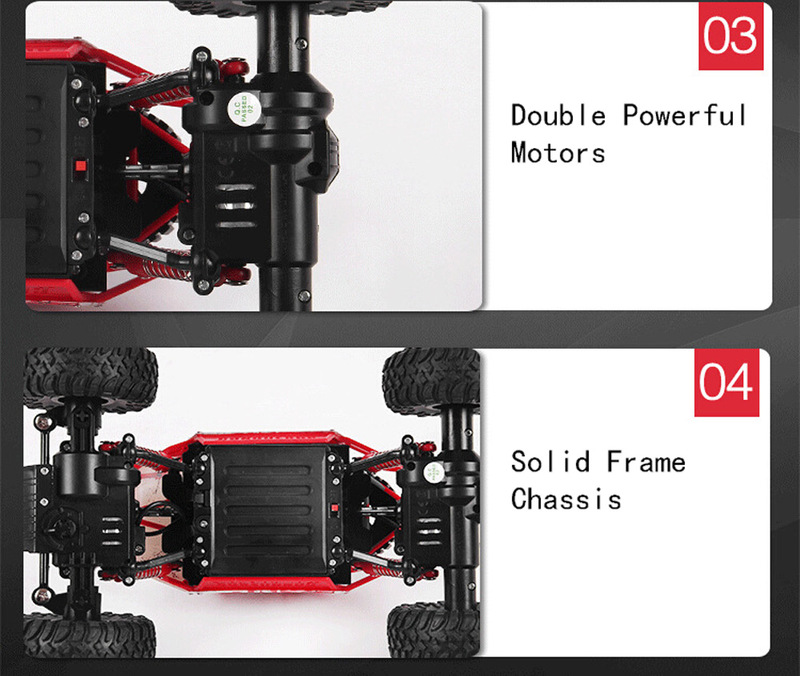 Solid frame chassis, high strength composite plastic is impact resistant to help protect the crawler. 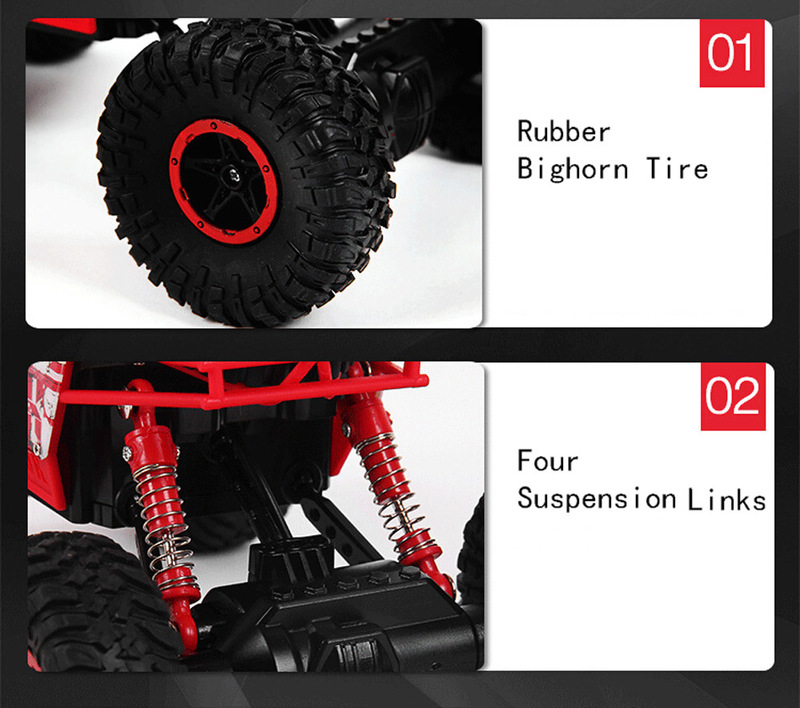 Rubber bighorn tire, aggressive tread design, impressive ground clearance, better grip in rock and off-road. 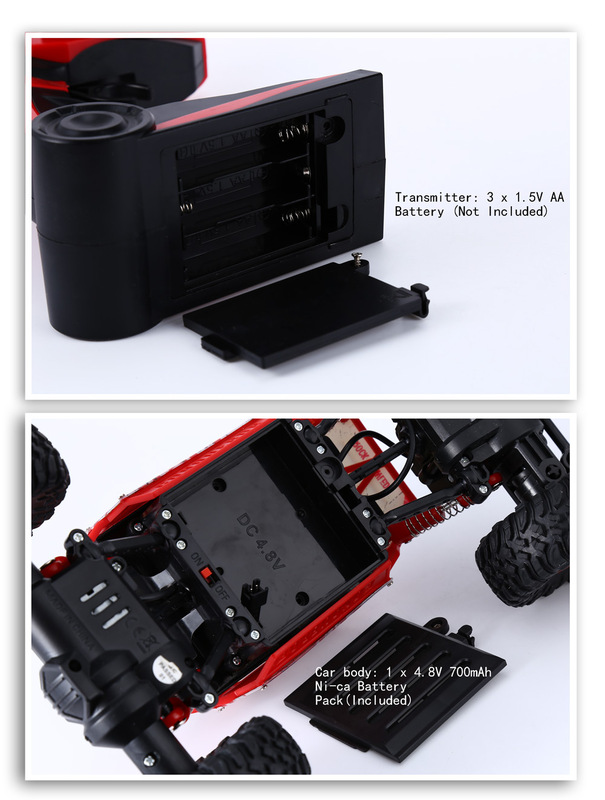 Four suspension links and springs, shockproof system and better protect the electronic components in the toy. 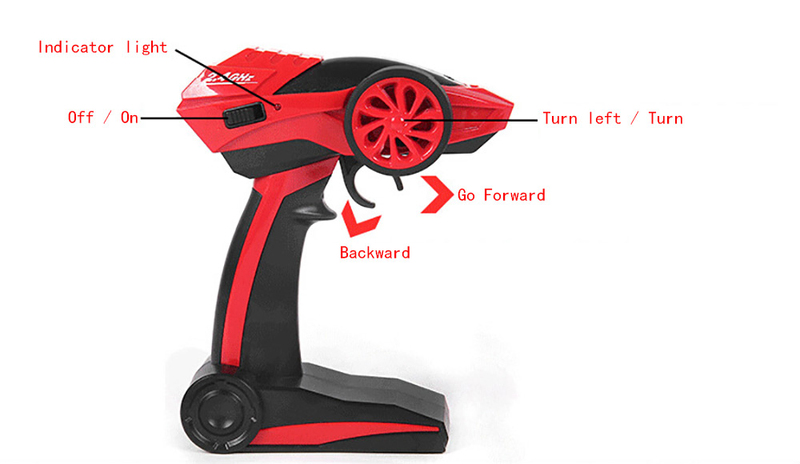 Wireless remote radio control, the control distance is up to about 60 meters. 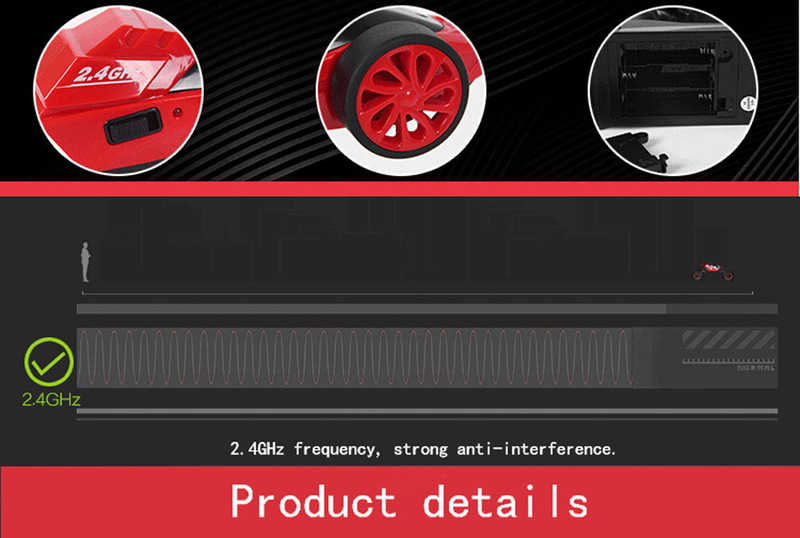 2.4 GHz frequency, low power consumption, two way transmission, strong anti-interference. Persistent super power: Can playing more than 30 minutes. High quality ABS material, super anti-throw ability. A fine tuning in the crawler bottom, can adjust the direction when it is not walking in straight line. 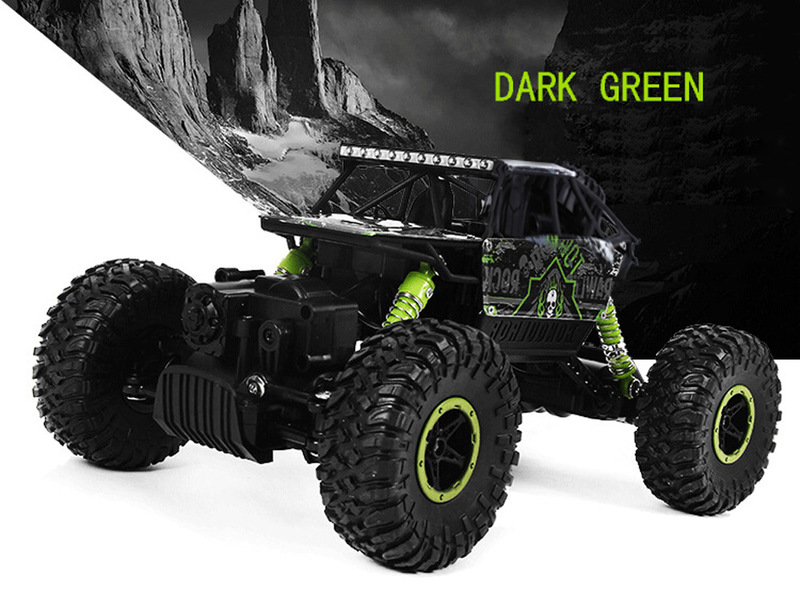 A stunning off-road vehicle for indoor and outdoor use, such as in sand, small rocks, and other rugged land.